Home » Bollywood News » Has Ranveer Singh replaced Salman Khan as Thums Up's brand ambassador? Has Ranveer Singh replaced Salman Khan as Thums Up's brand ambassador? 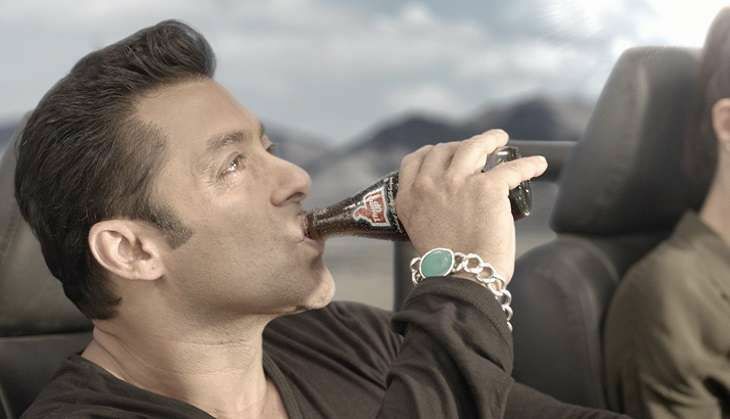 Salman Khan has been affiliated with Coca-Cola's Thums Up as a brand ambassador for a while now. However, he may have to give up on this soon due to his association with Appy Fizz - the associate sponsor of Bigg Boss 10. Coca-Cola and Khan have decided to end their association. The beverages giant now plans to rope in actor Ranveer Singh as the brand ambassador for Thums Up. Sources reveal that Ranveer's personality resonates with the brand's slogan 'Aaj Kuch Toofani Karte Hai' and that the deal will be finalised soon. An official announcement in this regard will be made after the paperwork is completed. After news of Khan being dropped as the ambassador broke, speculation was rife that Coca-Cola made the decision in the wake of the actor extending his support to Pakistani artists. 2. In light of this, both parties have mutually decided not to renew their current contract. We do not have any further information to provide at this point. We appreciate your interest and outreach.